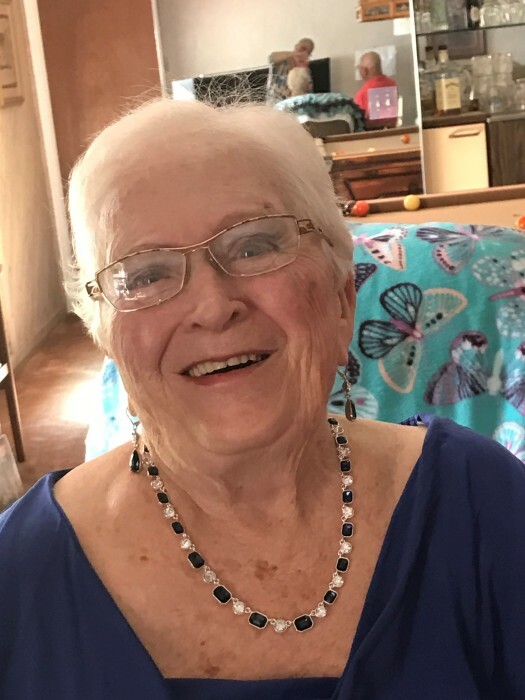 Obituary for Beverley J (Smith) Petticrew | Holloway Funeral Home, Inc. It is with sadness the family of Beverley Petticrew announces her passing on April 4th, 2019 after her extended battle with health challenges. Beverley will be lovingly remembered by her husband of 63 years Richard Petticrew and their children, Colleen Morrissette, Colette (Dan) Doyle, Calvin (Robin) Petticrew . Beverley will also be fondly remembered by her 4 grandchildren; Germaine Morrissette, Melissa (Shane) Nottingham, Billy (Andrea), Calvin and great grandchildren; Hunter, Kaylee, Arianna, Catalina, and Koji. By her brothers in-law Norman Butler and family, Larry Gee and family and her sister in-law Sandy Smith and family. As well as her step-brothers; Fred, John and Joseph LaVancher and families. Beverley was preceded in death by her siblings Elwin, Richard (Virgie) and Betty Ann Gee, her sister in-law Ann Butler. As well as her in-laws William and Harriet Petticrew. Family would like to invite friends and family for a social gathering at their home at 17110 Golf Vista Court, Odessa, Florida 33556 Monday, April 8th 2019 at 7:00 PM and a luncheon at American Legion Post following Graveside Service.